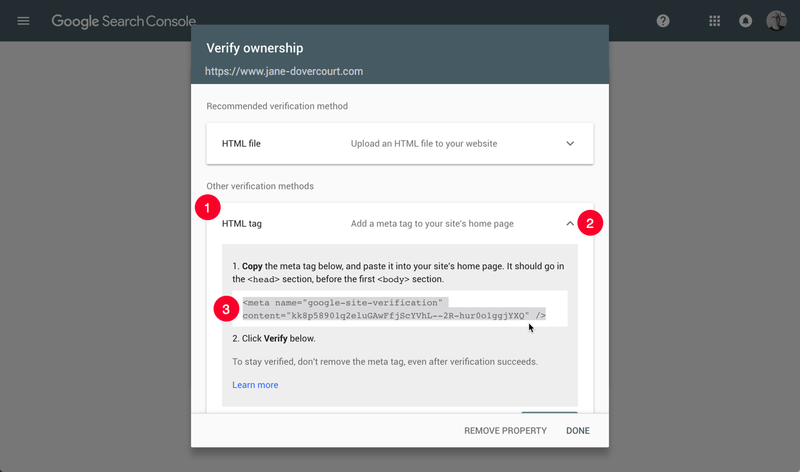 Add an automatically generated sitemap.xml file to Google Search Console to help with the indexing and verification of your site for SEO. 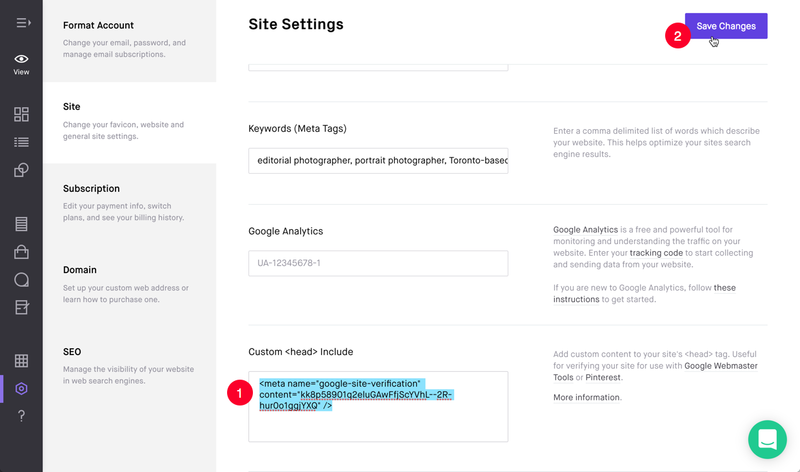 If you have pages that have the Page Visibility set to 'Private' or 'Offline' these will not be indexed or included in your sitemap file. Scroll down to bottom showing 'Custom <head> Include'. Read warning. 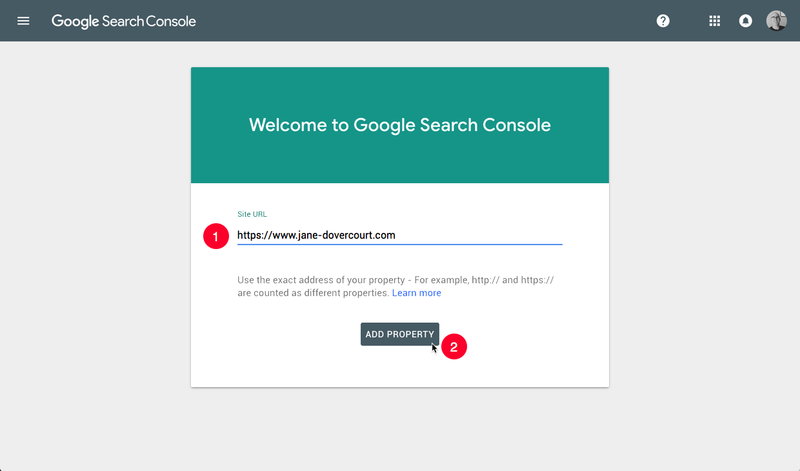 If you don't already have a Google Account you will need to create and enable Google Search Console. Select and Copy all the code in this field. Return to Custom <head> Include field in Dashboard Site Settings. Paste the copied code into the text area. 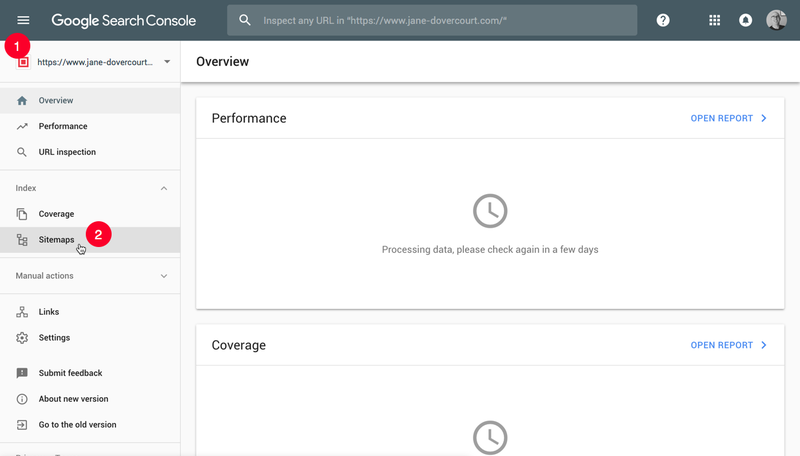 Return to the Google Search Console browser window. 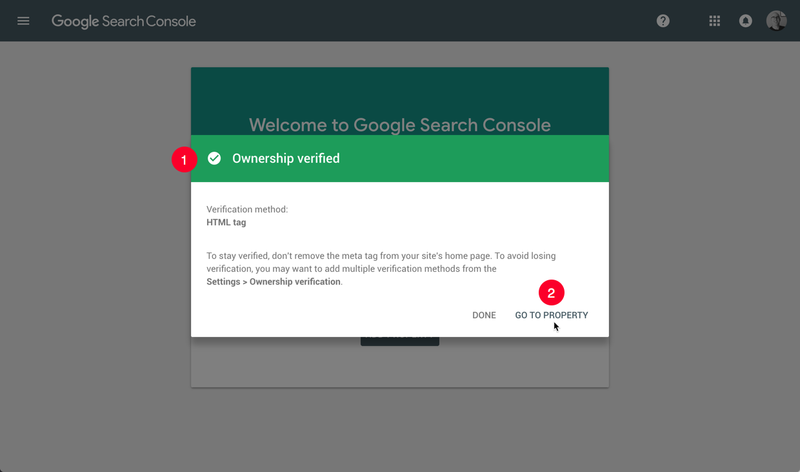 After verifying, your Google Search Console Dashboard is likely to appear empty because no data has yet been processed. Tap 'LEARN MORE' to find out what you can achieve with Google Search Consoles extensive tools and reporting. 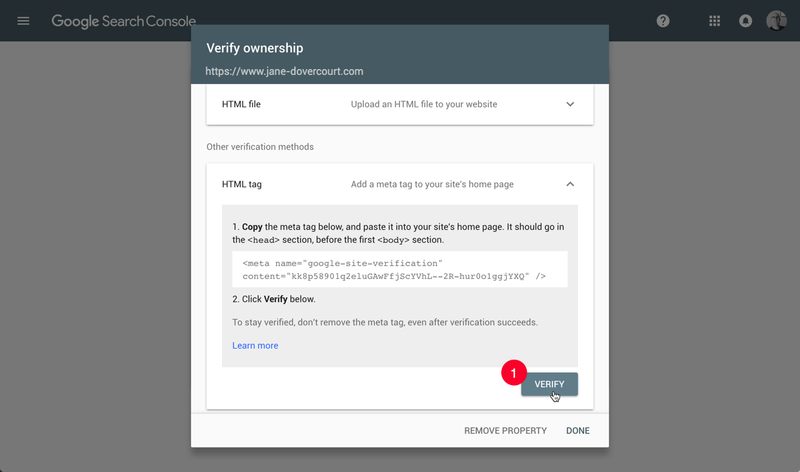 Check the base URL shown is the same as you added previously to Google Search Console. It should show 'sitemap.xml' at the end. 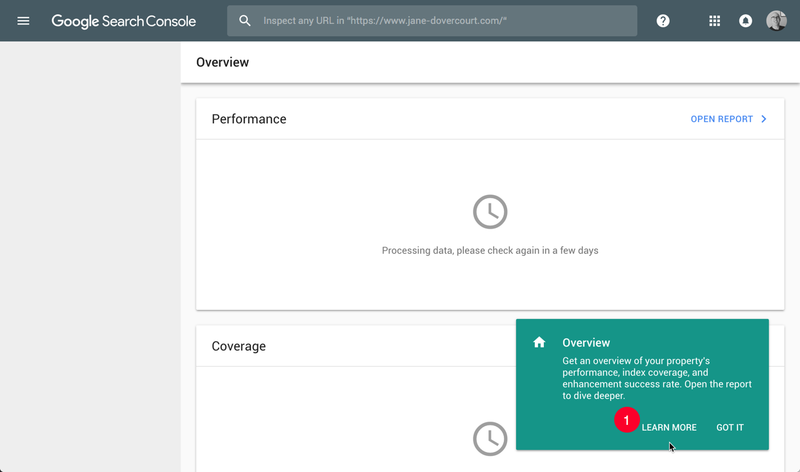 Tap 'LEARN MORE' for more information from Google on sitemaps. 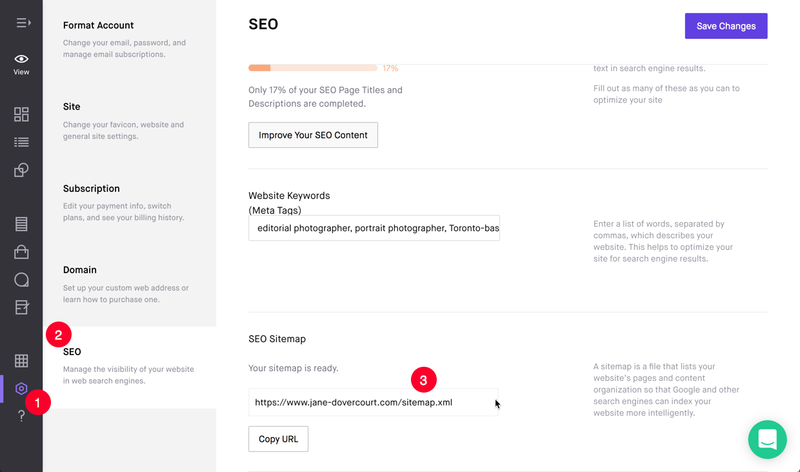 You will receive a notification that the sitemap has been submitted and will be processed periodically for changes. 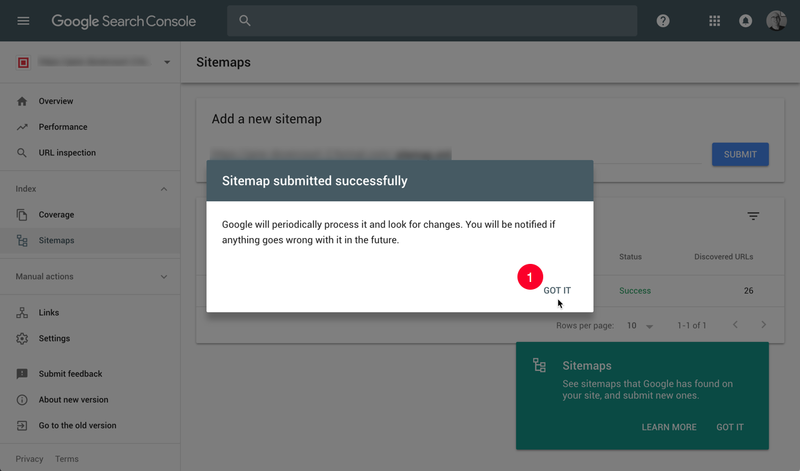 If you add or remove pages in the future, Google will check with the sitemap file and update its' search index. 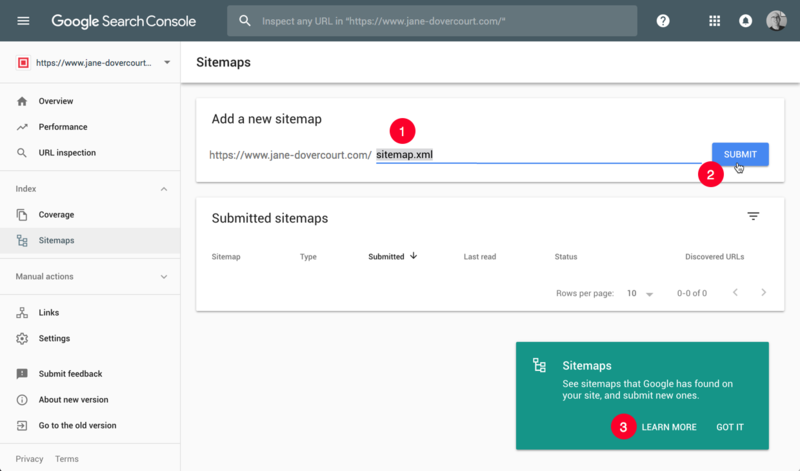 Learn more about how sitemaps work here.